Upbit has become the No.1 exchange in trading, according to the Blockchain Transparency Institute (BTI). Upbit’s 24-hour trading amounted to $436 million during BTI’s survey period. What’s noteworthy is Upbit received BTI Verified because it did not artificially inflate its trading through self-transaction or wash-trading. An exchange gets the BTI Verified when its wash-trading is not more than 10 percent of total trading. 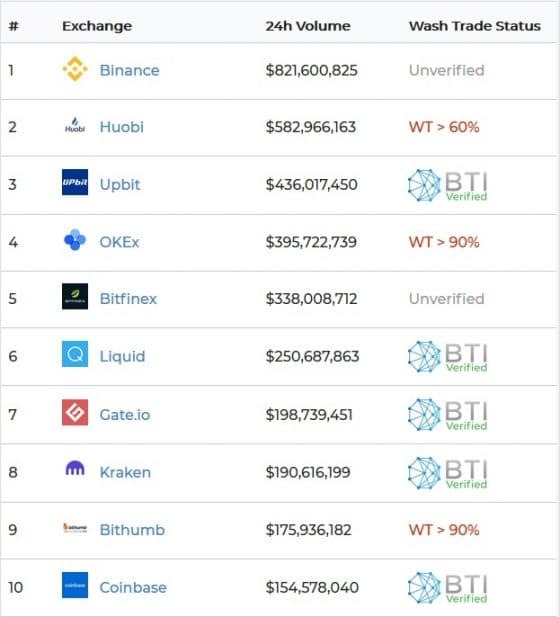 Upbit is among the nine global exchanges that got the BTI Verified. Bithumb ranked second in trading. It is the world’s ninth exchange. However, BTI said more than 90 percent of its trading is wash-trade.